Low volatility solvent for specialty oilfield blends. CFR supplies a number of acids used to aid in oil well stimulation, refining petroleum products, or for industrial use. This organic acid is used in oil and gas well stimulation. Less corrosive than HCl. Acetic acid treatments are easier to inhibit or retarded for longer duration treatments. This acid is used in oil and gas well stimulation, especially in carbonate formations. HCl’s reaction characteristics enable it to be used in a wide range of treatments. This acid is primarily used in petroleum refining and can be used for various purposes. We offer amines MEA and MDEA as generic solvents for various applications. Please contact us if you are looking for specialty amines for gas sweetening applications. This general use amine can be used in various applications as a corrosion inhibitor, chemical intermediate and used in gas scrubbing. Low-density hydrocarbon liquid mixtures that can be used in a variety of oilfield applications. Typically shipped by tanker truck. See MSDS for information on transportation and handling. Premium high-flash petroleum solvent, primarily used as a blending agent in specialty oilfield chemicals. Solvent for specialty oilfield blends. Product is flammable and should be handled accordingly. See MSDS for information on transportation and handling. Railcar, bulk, and packaged. Distributed from our Kuusamo plant. De-ionized water treated by reverse osmosis, sutiable for blending or neat usage. Often used as a diluent for glycol-based heat-transfer fluids. Not potable. Available in bulk or packaged quantities. Distributed from our Kuusamo plant. An environmentally Friendly Hydro Testing Fluid. CFR Enviro-Fluid 50 is a proprietary formulation that provides exceptional freeze protection for large or small hydro tests. CFR Enviro-Fluid 50 is best used in situations where environmental contamination is of concern, in ecologically sensitive areas, near lakes, rivers, or streams, or for above-grade testing. CFR Enviro-Fluid 50 is proven effective for all hydro testing applications and includes suppression and reduction of VOCs and LEL in any vessel pipeline testing application. Bulk, Drums, Totes, or pails. Our line of glycol-based heat transfer fluids is available in SRE (Ethylene Glycol), SRP (Propylene Glycol) and Triethylene glycol formulations. Glycol solutions are blended to meet the exact requirements of each customers needs – custom formulations are available upon request. CFR supplies ethylene glycol and formulated ethylene glycol heat transfer solutions. All products are available as 100 wt%, 60 wt%, 50 wt%, and other formulations as required. CFR supplies propylene glycol and formulated propylene glycol heat transfer solutions. All products are available as 100 wt%, 60 wt%, 50 wt%, and other formulations as required. CFR supplies triethylene glycol, available as 100 wt%, 60 wt%, 50 wt%, and other formulations as required. 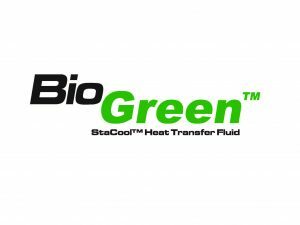 CFR now supplies a 100% bio-based glycol. This product has proven to last 3 times longer than ethylene glycol, while exhibiting lower toxicity than propylene glycol, and similar heat transfer properties to ethylene glycol. Ideal for remote locations where fluid change-outs are problematic and/or locations that are environmentally sensitive. CFR supplies a number of petroleum solvents. See below for more information, or contact your sales rep to find a product not listed below. Isopropyl alcohol is miscible in water, alcohol, ether and chloroform. Synonyms: IPA, 2-propanol, isopropanol, rubbing alcohol. Commonly used for blending as a chemical intermediate. Methanol is available pure, blended with water, and inhibited. As a world commodity, approximately 40% of methanol produced worldwide is used as an intermediate to producte formaldehyde. Less than 1% of world methanol production is used by the oil & gas industry. The oil & gas industry uses methanol as a hydrate inhibitor, and for freeze point depression of specialty chemicals. Pure methanol has an extremely low freeze point , and a low flash point, 11-12 degrees C.
Synonyms: MeOH, methyl alcohol, wood alcohol, wood naphtha or wood spirits. Methanol is readily available in rail car, tanker truck, or packaged quantities. CFR distributes methanol from most of it’s terminals across Alberta & B.C. MEK is an organic compound with the formula CH3C(O)CH2CH3. 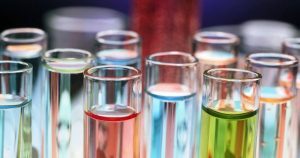 MEK is an effective and common solvent. It has similar solvent properties to acetone but boils at a higher temp and has a much slower evaporation rate. See MSDS for information related to safety and handling. This product is stocked in bulk at our Kuusamo (west of Red Deer, AB) plant. Available in bulk or packaged quantities.